StrongLoop is pleased to announce the 1.0.0 release of the LoopBack PostgreSQL Connector, that enables LoopBack powered applications to access PostgreSQL databases. The PostgreSQL connector is a new member of the LoopBack connector family. It supports the same model APIs as other LoopBack database connectors for create, read, update, and delete (CRUD) operations, synchronization, and discovery. This blog will explore this new PostgreSQL connector using a simple example. First, make sure you have the StrongLoop command-line tool, slc, installed. You can switch between the databases by updating datasources.json and models.json. No code change is required. 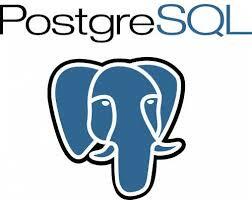 In the following steps, you’ll use PostgreSQL as the example. By default, the application connects to a PostgreSQL server running on demo.strongloop.com. The last command ensures that you’re connecting to the PostgreSQL server instead of Oracle, MongoDB, or MySQL. Now load the API explorer in your browser at http://0.0.0.0:3000/explorer. You can check out the REST API that the application exposes. You’ll see that there are two account records in the database, returned in JSON format. email: string – The email address for the account. level: number – Your game level. created: date – The date your account was created. modified: date – The date your account was updated. The properties will be saved to models.json. Now add the loopback-connector-postgresql module and install the dependencies. gyp: Call to 'pg_config --libdir' returned exit status 127. This will connect the application to the PostgreSQL server running on demo.strongloop.com. Now you have an account model in LoopBack, do you need to run some SQL statements to create the corresponding table in the PostgreSQL database? Sure, but LoopBack provides Node.js APIs to do so automatically. To make things easy, use some pre-written code in loopback-example-database/create-test-data.js. dataSource.automigrate() creates or re-creates the table in PostgreSQL based on the model definition for account. Please note this function will drop the table if it exists and your data will be lost. If you need to keep existing data, use dataSource.autoupdate() instead. Account.create() inserts two sample records to the PostgreSQL table. To get an account by ID, go to http://localhost:3000/api/accounts/1. Now you have the account table in PostgreSQL, you can use the LoopBack discovery APIs to create the LoopBack model from the database. Copy the script from loopback-example-database/discover.js. First, you’ll see output as the script creates the account model in JSON format. Examine the code in discover.js too: it’s surprisingly simple! The dataSource.discoverSchema() method returns the model definition based on the account table schema. dataSource.discoverAndBuildModels() goes one step further by making the model classes available to perform CRUD operations. As you have seen, the PostgreSQL connector for LoopBack enables applications to work with data in PostgreSQL databases. It can be new data generated by mobile devices that need to be persisted, or existing data that need to be shared between mobile clients and other backend applications. No matter where you start, LoopBack makes it easy to handle your data with PostgreSQL.